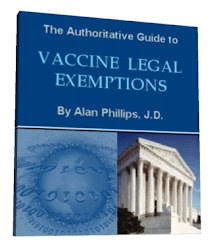 They can’t explain why whooping cough is back with a vengeance despite the most vaccinated populace ever known, why the DTaP-vaccinated are getting sick with it, or why “herd immunity” is falling apart. Forget it, let’s place all the blame on the few people who refuse vaccines – and call them baby killers. Our data suggest clustering of NMEs [non-medical exemptions] may have been 1 of several factors in the 2010 California pertussis resurgence. The researchers are taking data from geographical clusters of outbreaks in California neighborhoods where more people filed personal belief exemptions. Basically, people in those areas with more exemptions were 2.5 times more likely to live in areas with whooping cough outbreaks. They did not follow up on those exemptions to see if the parents later had themselves or their children vaccinated, and they did not see if the people who contracted it were actually vaccinated individuals. They simply used geographic clusters and drew a conclusion based on 39 clusters of high vaccine exemptions and 2 clusters of pertussis in 2010. The media took it further and wider in scope saying the unvaccinated are definitely a major factor – which differs significantly from a headline of outright blame. What a stretch! The other factors in the study, briefly mentioned towards the end of some of the articles, were; “the cyclical nature of pertussis, improved diagnosis, and waning immunity.” The major factor, brushed under the rug involves vaccination itself and newer vaccines as you will see. Some of the reports even claimed that it was so crucial to get vaccinated because little babies can’t get the vaccines and are especially vulnerable. Actually, they do get the DTaP – it is recommended they get 5 doses by the age of six starting at 2 months, 4 months, 6 months…. California saw one of its worst epidemics in 2010 with 9 deaths and over 9,000 sickened – one of the worst in 60 years. What no one wants to emphasize is that whooping cough was on a steady decline in multiple countries, continuing to drop almost out of existence until the vaccine was in heavy use. Pertussis was almost wiped completely off the U.S. map in the ’70s. Vaccines did not save us from disease. Then, the ’90s brought new acellular vaccines, because the older more toxic whole cell ones left people brain damaged and got vaccine makers sued before they scurried out of the market. Those faulty vaccines are creating great debate as cases of whooping cough are going up. So it’s readily admitted by scientists that the new vaccines are creating rebound pertussis. In 1975 Germany stopped requiring pertussis (whooping cough) vaccination. Today less than 10 % of German children are vaccinated against pertussis. The number of cases of pertussis has steadily decreased even though far fewer children are receiving pertussis vaccine. While pertussis is certainly a concern and on the rise, each year, the push for vaccination is bigger using low-blow emotional tactics. Yet, the number of deaths from last year (18) is less than half of those reported in 2005 (39). So how can it be that the 2% of the California population who were only recorded as filing exemptions in 2010 be responsible for an epidemic that has been on the rise for the last 10-15 years after a new vaccine was introduced? People who are frightened and shamed by media and medical sleight of hand would do well and empower themselves by taking a few extra minutes to look at the bigger picture and numbers from years back – before they rush out to get their jabs. To everyone else, be strong. The Dark Side strikes again. The pertussis vaccine, whether whole-cell (DPT) or acellular (DTaP) has always been extremely dangerous, often causing asthma, allergies, seizure disorders, encephalitis, autism, or death. The acellular vaccine is said to cause fewer mild side effects, but just as many serious events, including death, as the old whole-cell vaccine. The vaccine kills more babies every year than the disease does. The vaccine is often (possibly always) ineffective (the whole-cell was more effective, but did cause a lot of brain damage and death, as the author observed). My baby got the DTaP at 2, 4, and 6 months, then caught pertussis at a La Leche League meeting at 8 months. I used to think that she caught it from a possibly unvaxed toddler there, but now I realize that it’s common for even the completely vaxed to catch and transmit the disease. The vaccine is said not to prevent transmission at all, as was seen when my vaccinated baby caught it and then gave it to me. So she probably caught it from a vaxed baby. OK, it was scary, and not fun: ten coughs per breath, she coughed up sheets of mucus at the end of each coughing fit, and coughed for over a month, I for over two months, and then we got well. It used to be a dangerous disease, causing many thousands of deaths in each of its peaks, which occur every 34 months. But, as is common for viral diseases, it has evolved to become much milder than it used to be. These days it is not considered dangerous in those over four or five months old, whose respiratory systems have developed enough to cough out the mucus efficiently. Cough suppressants should never be given: they probably won’t work, and if they did, would cause the mucus to pool in the lungs and might cause pneumonia. One in 200 newborns who gets it may die. Dr. Suzanne Humphries has an on-line protocol of vitamin-C treatment that has saved many babies with pertussis. In the US last year, 42,000 were diagnosed with it, many more undiagnosed, and only 18 died (newborns). Newborns should be kept at home for the first months to protect them. The vaccination at two months will not protect them from pertussis, as their immune systems haven’t developed enough to develop antibodies, while it will more than double their risk of asthma at seven years old (Manitoba study 1998). Australia discontinued their free pertussis vaccine for adults program, when their science showed that it did nothing to protect newborns, the only group in danger from the disease. A 2009 study showed that immunity from the natural disease lasts longer than they used to think, 30 to 70 years, as opposed to the vaccine, that, when it works at all, often loses effectiveness in as little as three years. The bottom line is that pertussis is only dangerous to newborns, who cannot be effectively protected either by giving them the vaccine or by vaxing everyone around them. High-dose vitamin C, Pertudoron 1 and 2, and holding the infants upright during all coughing fits offer the only effective treatment. Keeping young infants away from sources of infection should be done as far as is possible. Everyone else should just go ahead and get it. If they’ve ever gotten the vaccine, they may not develop future immunity because of “original antigenic sin,” the vaccine locking a certain, inadequate immune response onto your immune system hard drive forever, but, on the other hand, the disease is just not as dangerous as the many conditions it often causes. The vaccine is very dangerous: when my daughter got the booster at 18 months, it erased her only two words, and she was diagnosed with autism two months later. It is largely, perhaps completely ineffective, and just not worth the risk. Everyone should just say no to it. I was ‘immunised’ against whooping cough as a child, but still developed a full blown case at the age of about 12 (36 yrs ago now). It was quite severe but I survived. I suppose the argument would be that it would have been worse if I hadn’t been vaccinated. But that argument seems secondary to the fact that none of my friends or anyone at school or anyone we even heard about had whooping cough at the time I did. So who did I get it from? It couldn’t be anything to do with having an ‘INACTIVE?’ version of the virus injected directly into my bloodstream. That just wouldn’t make sense. I must just be remembering wrong. One thing I do remember for sure though is going on a protest against compulsory vaccinations in central London a few years back. I was protesting more from a general freedom to choose point of view but was shocked to see about 80% of the protestors were women with children who’d had their lives ruined by all sorts of weird and wonderful potions that were supposed to protect them. The press didn’t cover it. And if they had it would have been from the usual ‘uninformed crackpot protestor’ stance they always take in such matters. Ironically though, these people had more knowledge of the truth about this disgusting scam than any of the so called ‘experts’ being that they had witnessed it’s life destroying capabilities at first hand. Unless they were mis-remembering as well. When will this madness end and is there a vaccination for it?